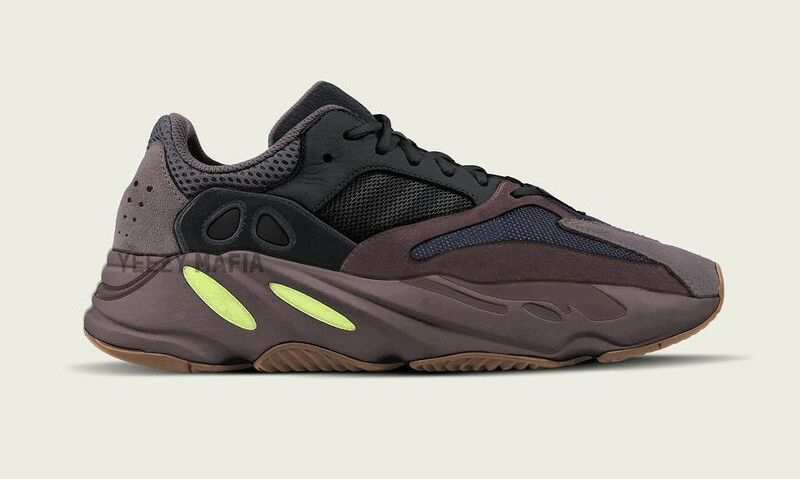 The Adidas Yeezy Boost 700 Mauve being a part of Kanye West’s Season 7 collection is going to be released during the upcoming month of 2018. This upcoming runner sneaker basically features a dark theme of “Mauve” that comprises of black and dark grey hues across its upper. The shoe is then further enhanced with the thick midsole and a contrasting lime green rubber sole. At last wrapping up the whole design altogether is a gum outsole. Retailing for $300, check out an image below and grab a pair for yourself at any select Adidas retailer on October 27, 2018.